Seachem and Seachem products were created by hobbyists for hobbyists. When the company began over thirty years ago, it did so due to genuine gaps in the market. Seachem products were developed by people who enjoy keeping aquariums in order to meet their unique needs and the needs of people like them. Seachem remains, to this day, one of the largest independently owned pet supply businesses in the world – still run by people like you, for people like you, with the aim of supplying the best freshwater and marine aquarium products on the market, through a network of approved dealers. The vast majority of Seachem products outperform the leading competitor products by a long, long way. Take, for example, best selling Seachem product Ammonia Alert which lasts, on average, 9 times longer than other competing products. Seachem marine products and reef aquarium supplies are designed to be as easy as possible to use. An aquarium is a complex environment in which chemical levels must be kept in delicate balance in order for life within that environment to thrive. There is a lot to consider when maintaining an aquarium so the least we can do is to make the products you need as easy to use as possible. Many of our water testing kits, for example, require no testing at all! They simply change the colour of the water when chemicals are out of balance. You can’t get easier than that. We don’t just repackage old ideas. We have a staff of scientists working diligently to create Seachem products that bring entirely new solutions to the market. As a result of our ongoing research and development, most Seachem products are totally unique to Seachem. You will not find comparable marine aquarium supplies with other brands and, in most cases, you will not find products as simple to use and economical as Seachem products. Our premium line aquavitro is designed to respond to new information and technologies as quickly as they arise. This is a no compromise, premium range of reef aquarium supplies and supplies for planted aquariums. Aquavitro is a proud supporter of the Coral Restoration Foundation, a charitable organisation working to save the backbone of marine ecology. 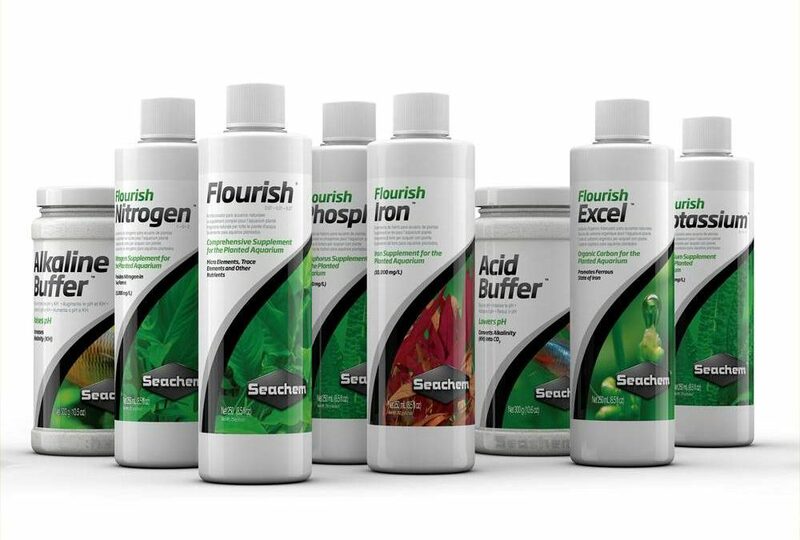 All Seachem products, including marine aquarium supplies, reef aquarium supplies and more are now conveniently available to buy online in the UK via seachem.co.uk. Seachem.co.uk operates a question and answer section on the FAQ page of the website, so you need never wonder about how to use your Seachem Products. There are a selection of questions already answered on that page but our technical experts are on hand to answer your specific enquiries about our unique product line.